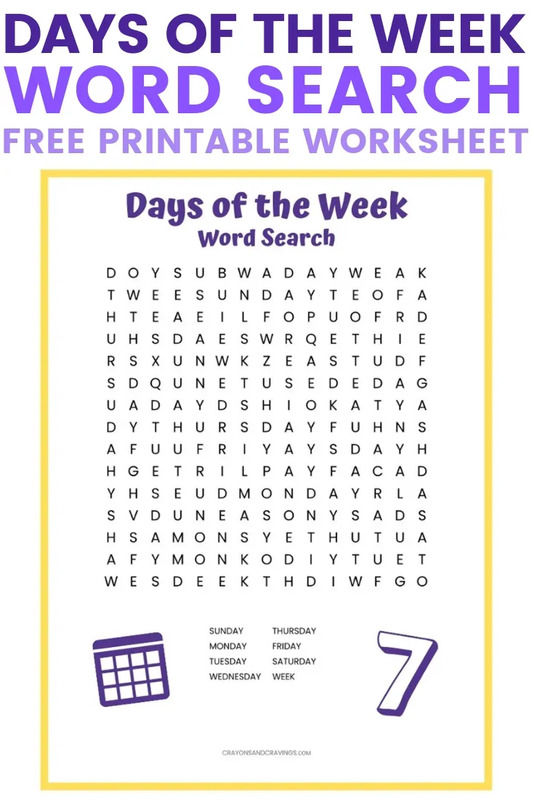 A days of the week word search puzzle printable to help reinforce the spelling of the days of the week. This word search would be great for teachers to hand out in the classroom. It would also be perfect for parents to print out as a rainy day activity for the kids at home. Either way, the kids will have fun finding the days of the week in this word search puzzle. The great thing about word puzzles like this one is that they help build vocabulary and reinforce spelling. So if your kiddos are working on learning how to spell the days of the week, this activity would be great practice. Words can be found horizontally, vertically, or diagonally. No words will be written backwards. 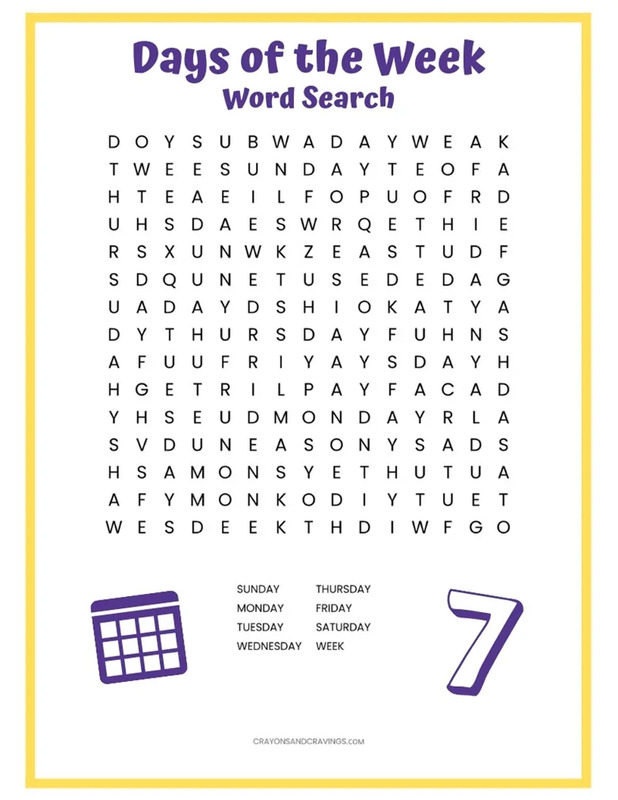 Click the link below to download the days word search PDF.